Demi Lovato deletes Twitter after comments about Rapper 21 Savage sparks backlash. 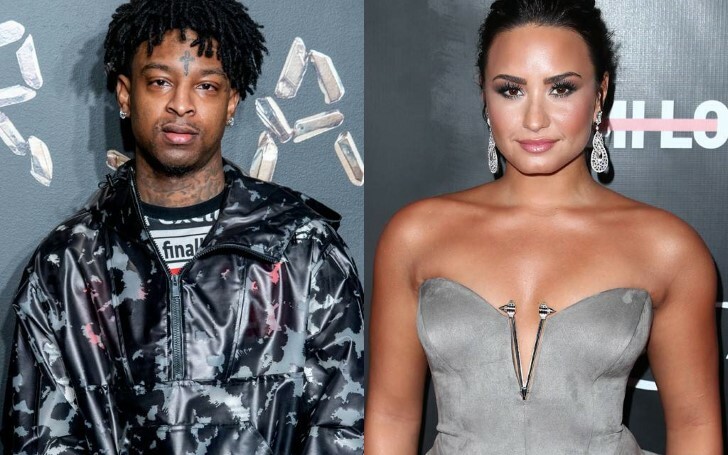 Demi Lovato seemingly deleted her Twitter account following the backlash over her comments about Rapper 21 Savage (real name Sha Yaa Bin Abraham-Joseph). The rapper is currently in custody and at risk of being deported after authorities claimed he is a UK national illegally residing in the US. After 21 Savage’s arrest on Sunday, fellow celebrities and fans alike took to social media to comment on the rapper’s possible deportation. “So far 21 savage memes have been my favorite part of the Super Bowl." Immediately, the tweet caught the attention of a lot of people garnering harsh backlash which prompted the singer to retweet clarifying about the tweet she found funny. Further, Lovato tried defending herself in other tweets. Failing to calm the criticism the Sorry not so Sorry singer Lovato posted another tweet before deactivating her account, "F--k Twitter. This is why I don't tweet anymore." Not long after deleting her Twitter, Demi also addressed the mean criticisms targeting her drug overdose on another note through Instagram Story. She also shared screenshots of comments people made about her overdose and drug use. "Wasn't laughing at anyone getting deported. I know that's not a joke...not have I EVER laughed at that. The meme I posted/was talking about was of him being writing with a feather pen. Sorry if I offended anyone. But it's no excuse to laugh at someone's addiction, let alone their OD." As per 21 Savage's attorney Dina LaPolt's statement to some tabloids, they are working diligently to clear up the arising misunderstanding. In contrary, US Immigration and Customs Enforcement spokesman Bryan Cox claims 21 Savage was arrested in a targeted operation early Sunday in the Atlanta area. According to Cox, the rapper is a British citizen who entered the US legally in July 2005 but overstayed his visa, which expired in July 2006. Additionally, in October 2014 the rapper was convicted on felony drug charges in Georgia and was placed in deportation proceedings in federal immigration court.